How Long Does It Take to Plan and Build A Pool? Most pool projects take, on average, between 8 and 12 weeks, depending on the scope of the project. But many factors can affect your pool building timeline, including the time of year you plan to build among other things. 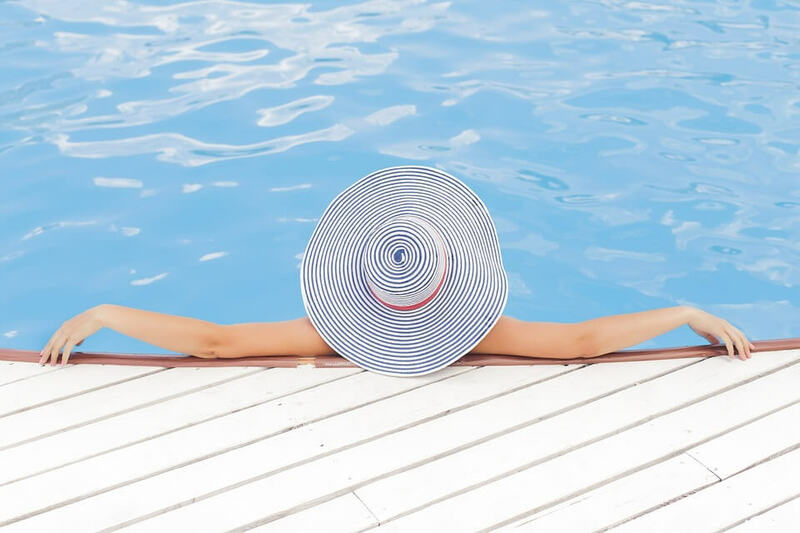 If you wait until the busy summer season, you may end up waiting longer than anticipated to enjoy your new pool. So you’ve decided to take the plunge—pun intended—and move forward with a pool for your home. Depending on the type of pool your considering, installing a pool could take as little as two weeks and as much as two months or more. New pool installations often come with additional landscaping components—pool deck, patio, pool house—which can add days or weeks to a full project. Depending on the project scope, it can take anywhere from one to eight weeks to finalize your swimming pool design and obtain the required permits before breaking ground. You and your pool designer will likely spend a good portion of time creating the perfect pool design that fits your vision for a backyard oasis. Permitting is largely out of your control. How long it takes for the permits to go through will depend on your local permit office. A typical pool permit is often issued within a week’s time, but if custom accessory buildings or outdoor structures are involved it could take significantly longer. Once the ground is dug out, pool builders will need to dig trenches to route the plumbing and electrical lines. During this stage, they will install the circuitry for the pool, including hydro lines to hook up the pool equipment itself, as well as any lines needed to power outdoor lights, landscape lighting, and fixtures. Plumbing lines are also run to connect the pool pump to the pool, spas or water features that may be part of the project. The type of pool shell material you choose will affect how long this installation takes. Fiberglass pools come preassembled. Once excavation is done a fiberglass pool can be installed and plumbing attached in a day. Vinyl on steel pool are assembled on site. Pool kits are bolted together, braces installed on pool walls and the concrete installed on the pool floor, the pool deck and around the plumbing walls on the outside of the pool. Concrete (gunite) pools by far take the longest to install. From framing to rebar to concrete poring and setting and finally surface finishing, gunite pools can take up to eight weeks to install. This type of pool is ideal for those who want to enjoy the benefits of a completely customizable pool without the luxury price tag. Vinyl liner pools are still the most popular pool today. Pool walls are usually steel or polymer and both are assembled on site. Vinyl liner pools have concrete floors and either finished concrete decks or subdecks overlaid with pavers or natural stone. The time it takes to build a vinyl liner pool will vary depending on the type of pool and complexity of the project. Bonus: Vinyl liner pools are ideal for cooler climates. They are less vulnerable than concrete pools to freeze/thaw cycles. Most new liners manufactured today also offer greater UV protection and come with aglae inhibitors built in. Fiberglass pool shells arrive already manufactured, so they can be in the ground and filled with water often in the same day. But the site must first be carefully prepared and properly graded to maximize the lifespan of the pool. Larger fiberglass pools are also tricky to transport and crane hoist over the home. Special care must be taken to avoid cracking the shell when putting larger pool shells in place to avoid potential disasters. While concrete pools are the most customizable for shape and size, they do take the longest to complete and are typically the most expensive at often two to three times the cost of a vinyl on steel or fiberglass pool. Gunite (concrete) pools are a mixture of sand, water, and cement. These pools need a specialized crew to come in to install the gunite, plaster the pool and apply chosen finishes such as tile and stone or marble coping. A concrete pool project takes the longest time to install. Pool walls need to be formed and poured and concrete needs time to cure, which can take up to 30 days–outdoor conditions, such as the temperature, will affect this curing and construction times. Note: Concrete pools are not compatible with saltwater systems. Depending on the pool shell material you choose, expect this stage to take one to eight weeks to complete. Contact your local pool professional for help deciding on the best pool for your backyard. Along with swimming pool design, you’ll also have to design your pool landscaping and patio. Depending on the deck, landscaping, and custom features, this final stage of pool construction can take anywhere from one to four weeks. During this time, pool builders will install your pool deck, patio, waterfalls, lighting, and other custom features, along with your pool landscaping. When’s the Best Time to Break Ground? Once the ground thaws and there are no longer signs of winter lingering, pool builders may start excavating. Ideally, you and your pool builders will be ready to break ground as early as possible during the building season so you can beat the rush and ensure your pool is ready for you to dive into this summer. Pool building season starts in spring and only gets busier as the weather warms up. Depending on the time of year, your pool builders may have a busy schedule. Most contractors are booked weeks in advance. If you want to ensure your pool is a priority, get started as soon as possible on the design process and book your local pool builder as soon as possible. Depending on the type of pool and the stage of the pool building process, bad weather can cause delays. You need a permit to install your pool. With every city permit comes inspections. If your pool doesn’t pass inspections, your pool builder will have to backtrack and redo their work. To ensure this doesn’t happen, stick with reliable, experienced pool builder who knows and understands how to build projects to code. Once your pool is built and you’ve passed all city inspections, it’s time to fill your pool. If you have a large pool, filling it up with a hose will take a long time. Make sure your contractor includes water delivery with your finished pool. It’s much cheaper than the city permit and your pool is filled in a matter of a few hours—not days. Also, keep in mind that you will need to prepare your pool water so it is safe for swimming. A good contractor will help balance your pool after the initial install. Keep in mind that chemical balancing is an important part of pool ownership. A properly balanced pool will not only improve your pool experience but will also drastically extend the life of your equipment. For the most accurate estimate of your pool building timeline, speak with your trusted pool builder. They will have a better idea of their own schedule and any factors that could slow down the pool building process. The quicker you start the planning process the sooner you can enjoy your new pool and leave your day to day stresses behind in your new backyard oasis. Bert Minor has been a part of the landscaping business for nearly twenty years and has gained an excellent reputation as an innovative and creative designer. In fact, several of his designs and projects have been featured in industry supplier magazines. An active and contributing member of the industry, Bert sat on various boards including the Ottawa Chapter of Landscape Ontario and the Landscape Ontario Provincial Construction Committee. Bert also contributed technical articles published in the Canadian National Landscape Association magazine. 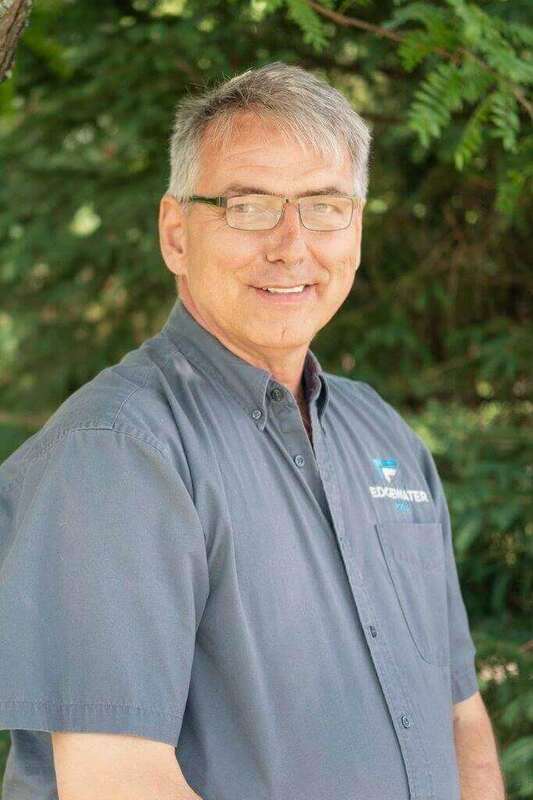 With a relentless pursuit of knowledge, Bert has attained several industry certificates in landscape design, landscape construction and with the PHTCC—Pool and Hot Tub Council Canada. Prior to joining the landscaping industry, Bert spent several years in management in the services sector primarily in a customer advocate role. His honesty and integrity and his ability to build and develop strong relationships with clients reflects that.